The newest addition to GCM comes to us courtesy of Bruce Kalman. 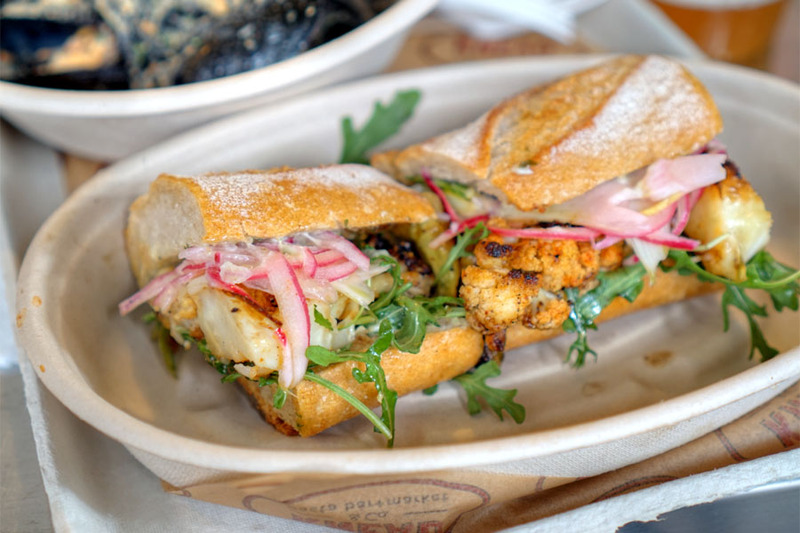 The last time we caught up with the Chef, he was killing it over at Union in Pasadena. Since then, he's competed on Bravo's Best New Restaurant, cooked at Coachella, made an appearance at Los Angeles Food & Wine, and even started a cover band called Foie Grock with none other than Duff Goldman. 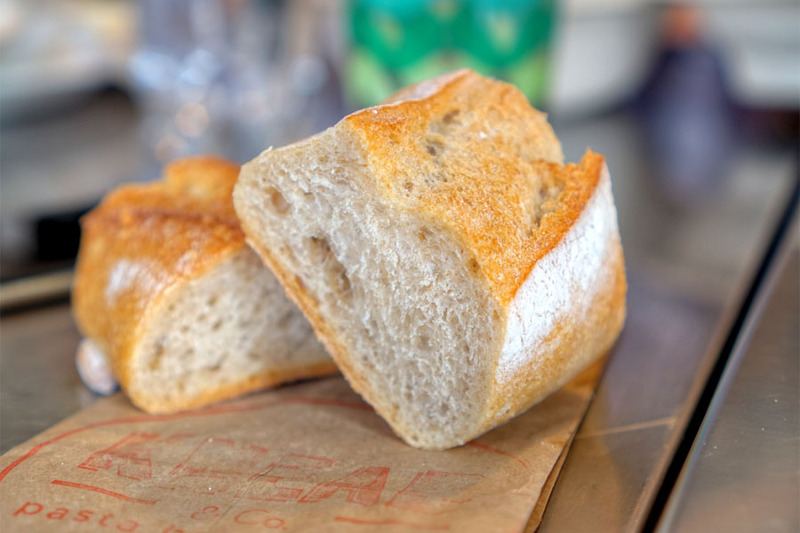 All this time though, Kalman and partner Marie Petulla have been hard at work getting Knead & Co. off the ground. The place was announced last February, and after numerous delays, finally debuted on January 28th. 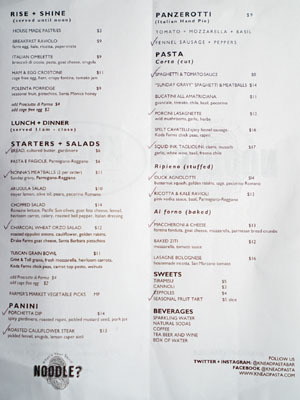 It takes over the old footprint of La Adelita (that was being used by Zack Hall's Clark Street Bread), and aims to be a pasta bar-slash-market, with product made daily in a dedicated "pasta lab" area. 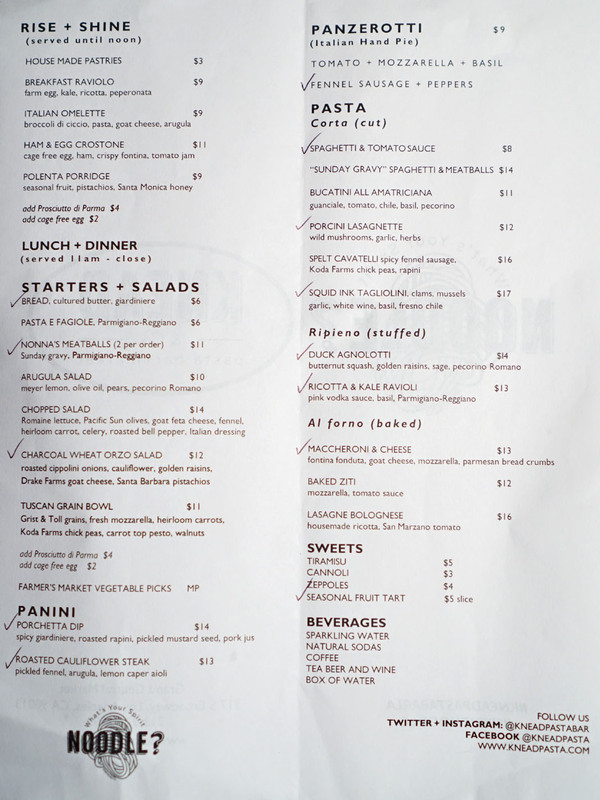 Unsurprisingly, Knead's menu features an Italian (-American) bent, with a larger-than-expected selection of pastas joined by starters/salads, desserts, and a number of breakfast-y items that I wish were available all day. Click for a larger version. 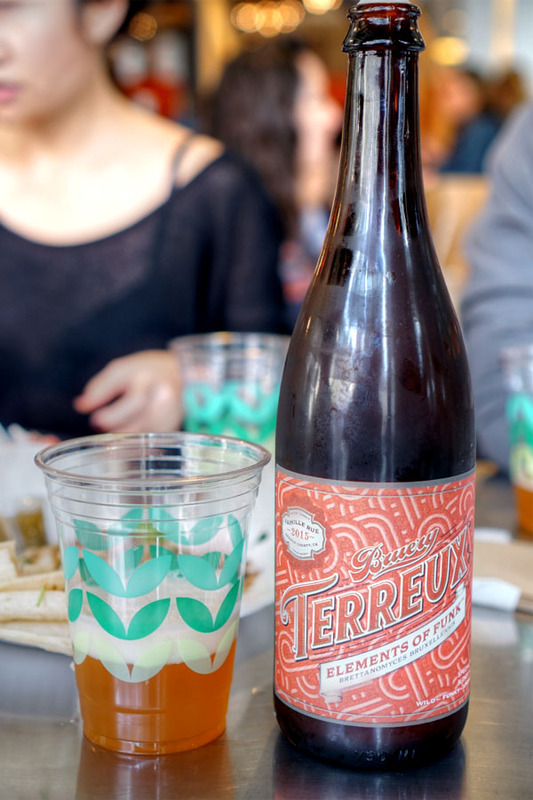 As usual at GCM, we opted for beer, and up first came the 2015 Bruery Terreux Elements of Funk: Brettanomyces Bruxellensis, the third in a series of Brett-fermented saisons. I've been enjoying the entire EoF series, and this was no exception with its nose of sweet, aromatic, juicy stone fruit and floral, tropical flavors leading to an earthy, dry finish. 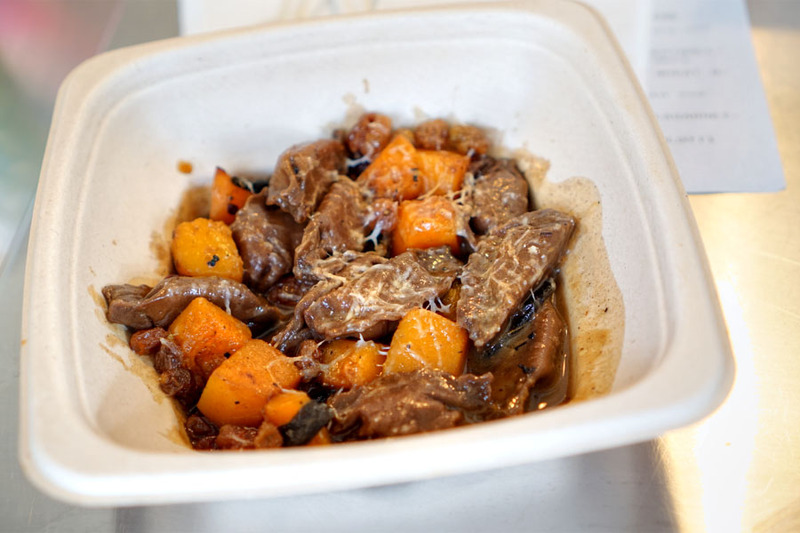 Soft parcels of agnolotti showed off the dark, savory essence of duck in archetypal fashion while squash and raisin imparted a balancing sweetness. 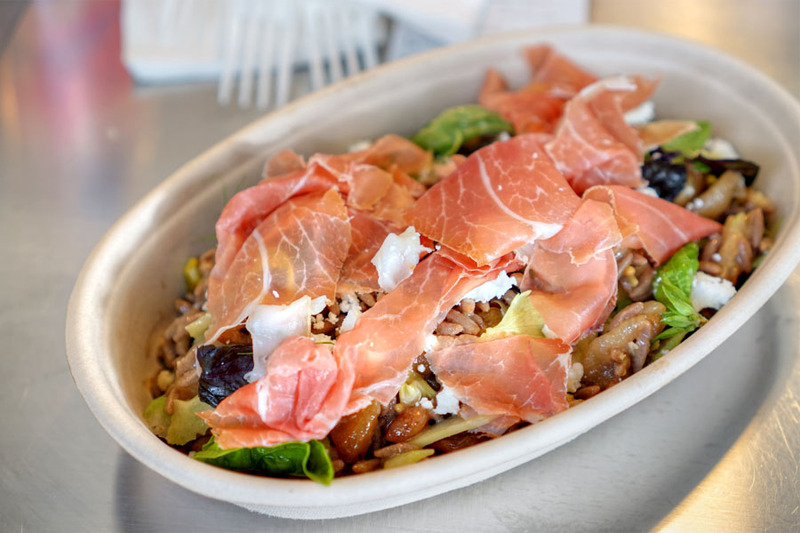 The orzo salad was a multifaceted affair, with nutty, sweet, vegetal, cheesy flavors coming together in a bevy of textures, the ham adding a hit of salt to the mix. 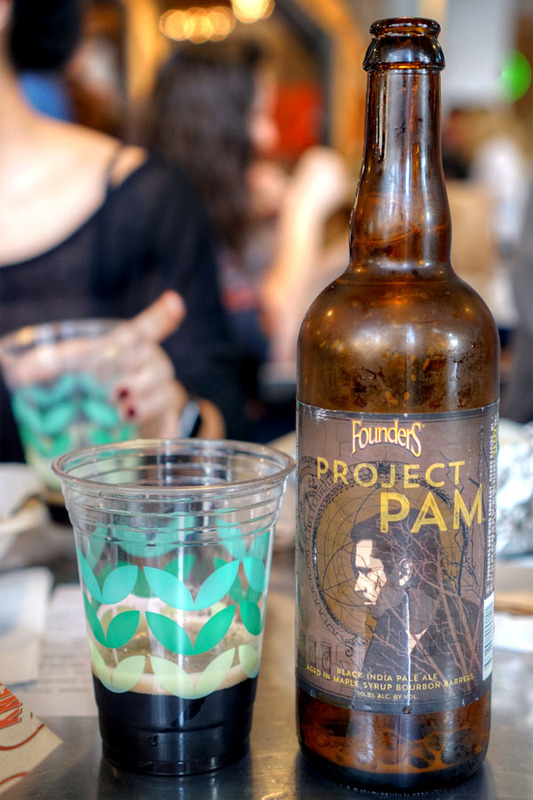 The 2015 Founders Project PAM was a black India pale ale aged in maple syrup-enriched bourbon barrels. Aroma-wise, I got a bourbon-y sugariness intertwined with bitterness from the use of Chinook, Nugget, Centennial, Amarillo, El Dorado, and Mosaic hops. On the palate: more hops and more maple, all finished by a distinct oaky character. 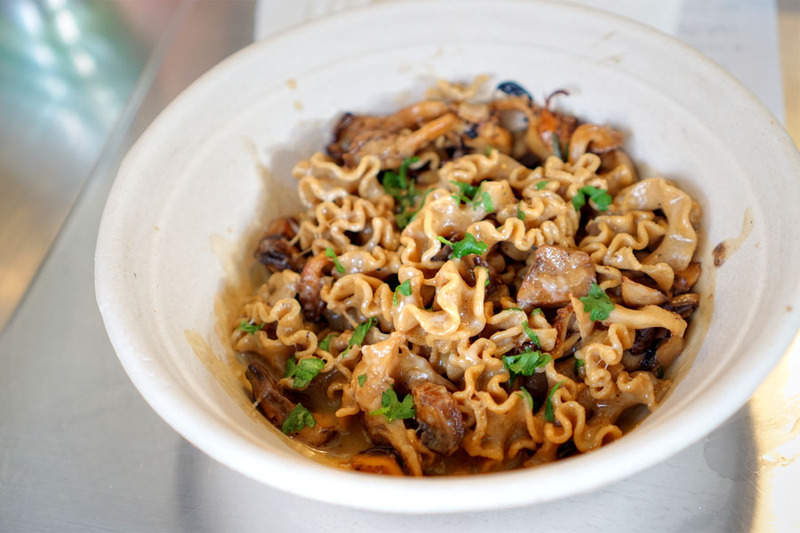 This was one of my favorite pastas, with its multitude of deep, earthy mushroom flavors complemented by the garlic 'n' herbs in consummate manner. 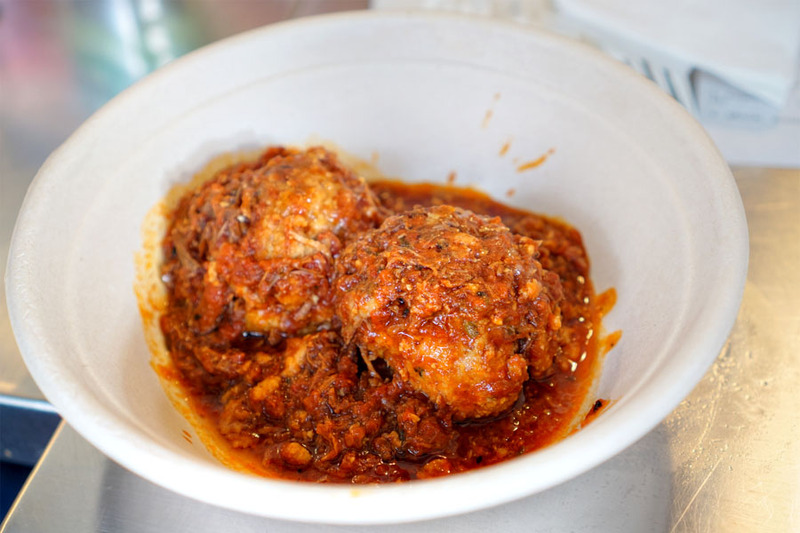 Meatballs conveyed an Italian-American bent--meaty, rustic examples set in a tangy sauce. 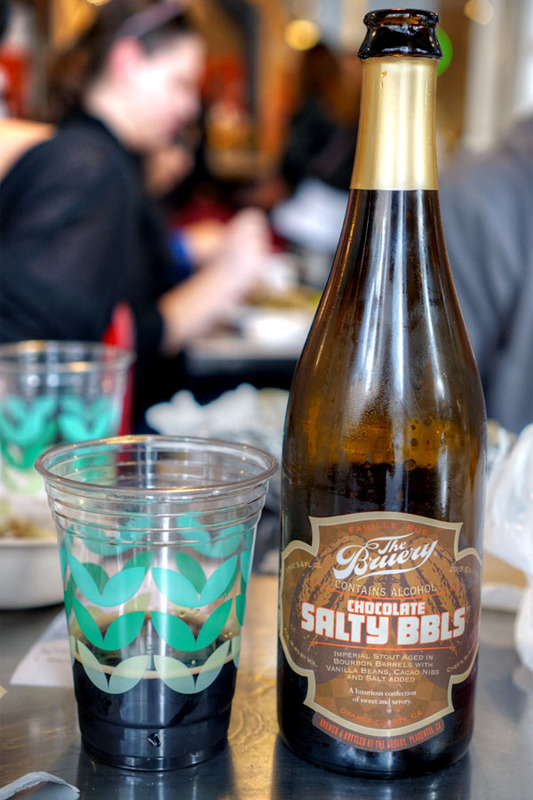 The 2015 The Bruery Chocolate Salty BBLS was an imperial stout aged in bourbon barrels with vanilla beans, cacao nibs, and a pinch of salt. Unsurprisingly, I got straight vanilla and chocolate on the nose, while taste-wise, things were tart and boozy at first, with cacao coming in on the mid-palate while the finish was laced with plenty of dark fruit. I didn't detect much salt, though. I'm not sure if bread is baked in-house, but it did its job. 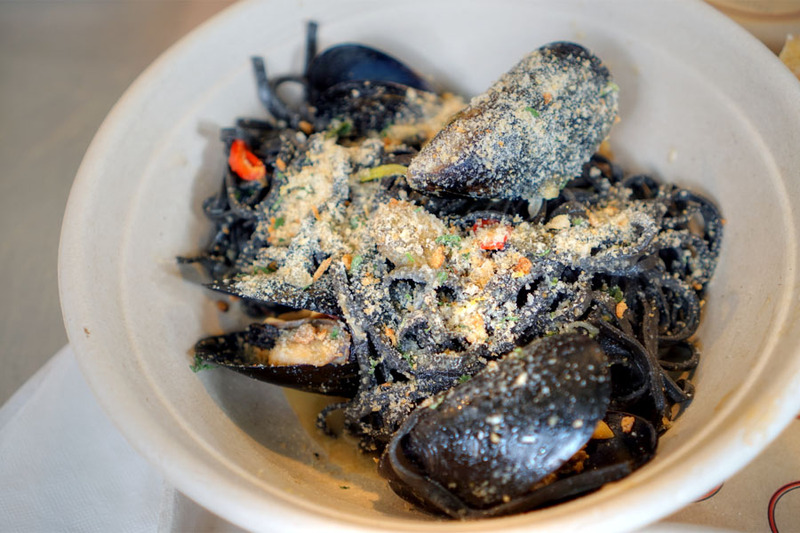 Tagliolini came out roughly-textured and imbued with a noticeable brine from the squid ink. Clams and mussels lent even more notes of the ocean, but the other ingredients made for a semblance of balance. The 2016 Tree House Julius was an East Coast IPA that's been getting quite a bit of attention as of late. It smelled of hops to be sure, but commingled with an intriguing spice character. On the tongue, think smooth, rich citrus and tropical fruit flavors overlaid with more hop bitterness. 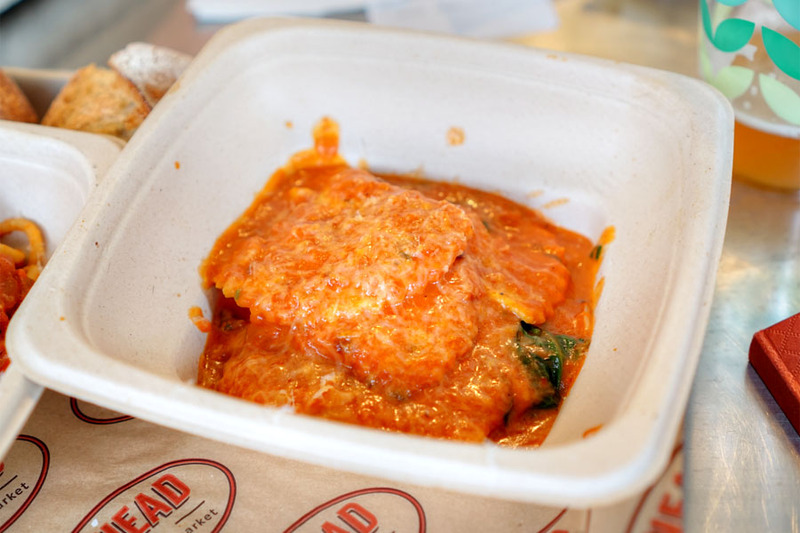 Another standout for me was the ravioli, which really showed off the soft, creamy nature of ricotta while the vodka sauce gave up an offsetting tartness. Cauliflower displayed an abundance of sweet, zesty flavors, and I was a big fan of the bread here as well, which I found well-charred and wonderfully crunchy on the bottom. 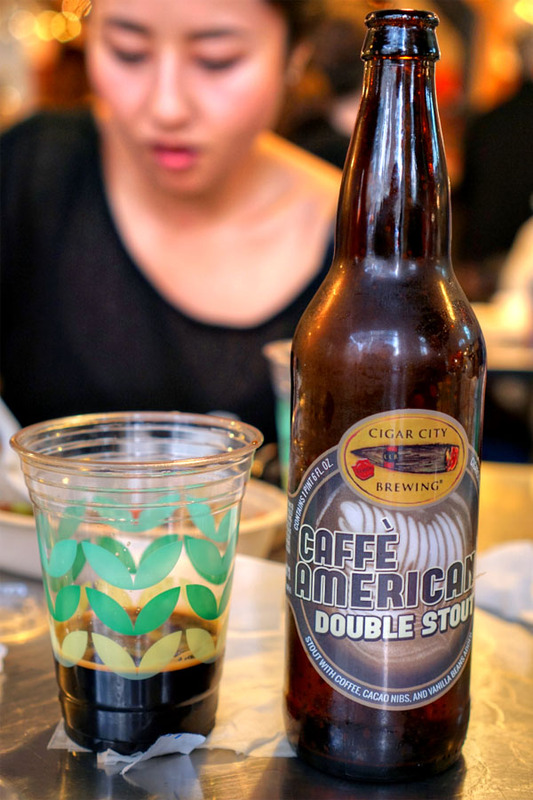 A stout with Buddy Brew coffee, cacao nibs, and vanilla beans added, the 2015 Cigar City Caffè Americano had a bouquet rife with sweet chocolate and roast. The taste followed, with a slight hint of vanilla bringing in the rear. 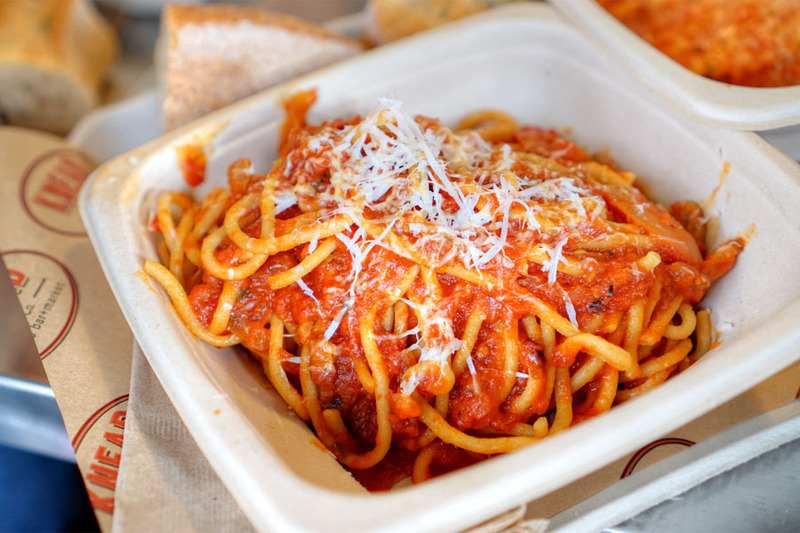 Spaghetti was well-textured--just firm enough--and paired in classic fashion with a tart, herby tomato sauce. 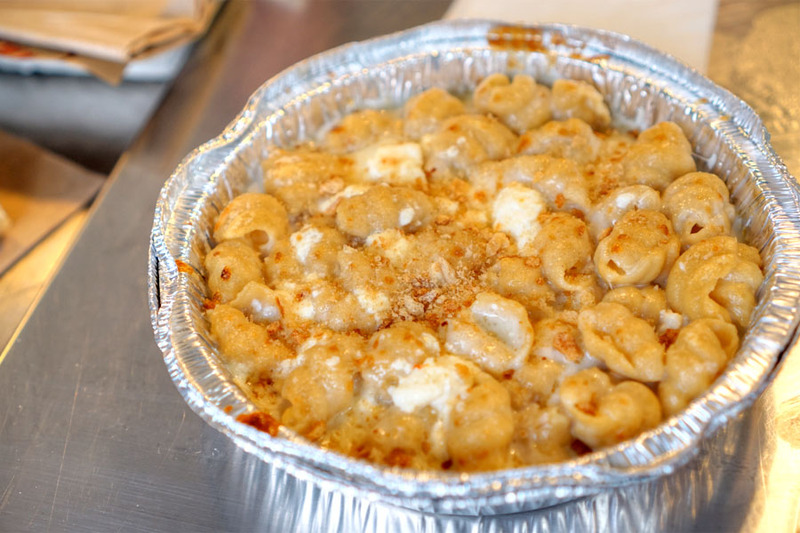 Knead's take on mac 'n' cheese worked out like clockwork, the pasta meshing well with the sheer cheesiness of the dish while bread crumbs provided some textural variation. 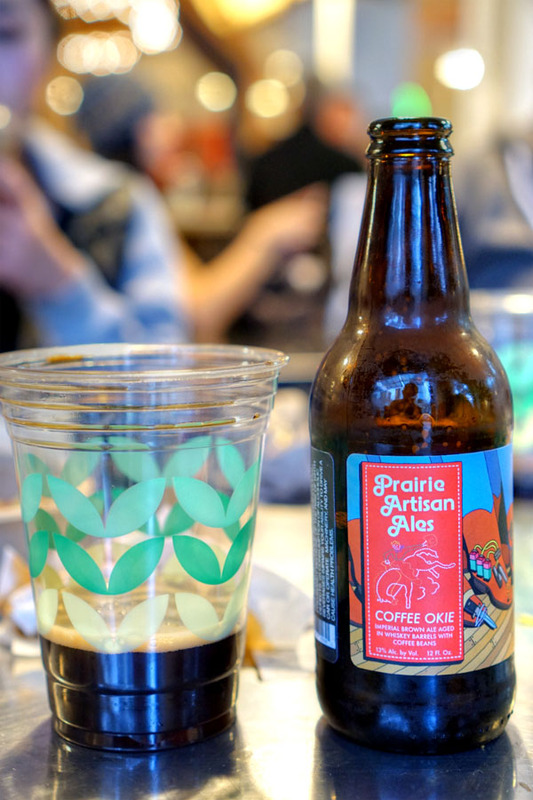 The 2015 Prairie Coffee Okie was an imperial brown ale with coffee beans, aged in whiskey barrels. It smelled promising, with aromas of brown sugar and coffee at the forefront. However, the taste went tangy, almost acidic, with a green bell pepper note to the coffee that didn't sit well with me. A panzerotto made for another favorite of mine thanks to its delightfully-textured crust and almost pizza-like flavors. 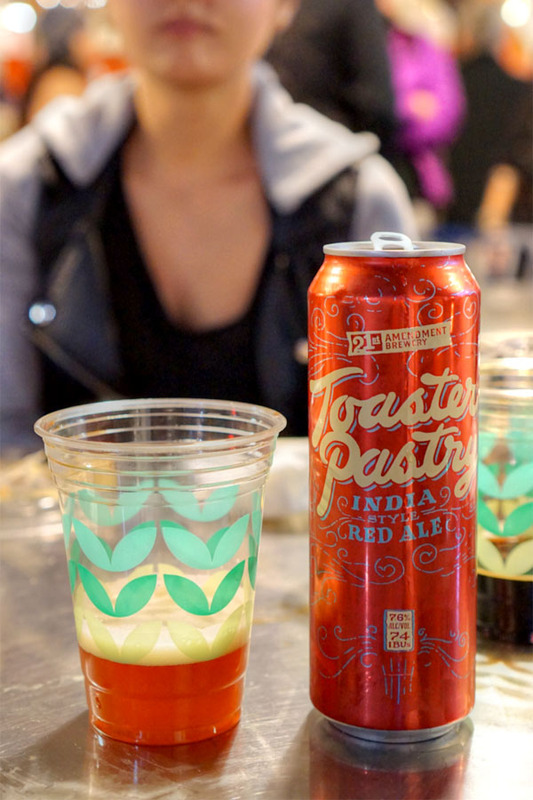 The 2016 21st Amendment Toaster Pastry was an India style red ale that I found somewhat interesting thanks to its mix of hoppy, malty, and almost jammy flavors. 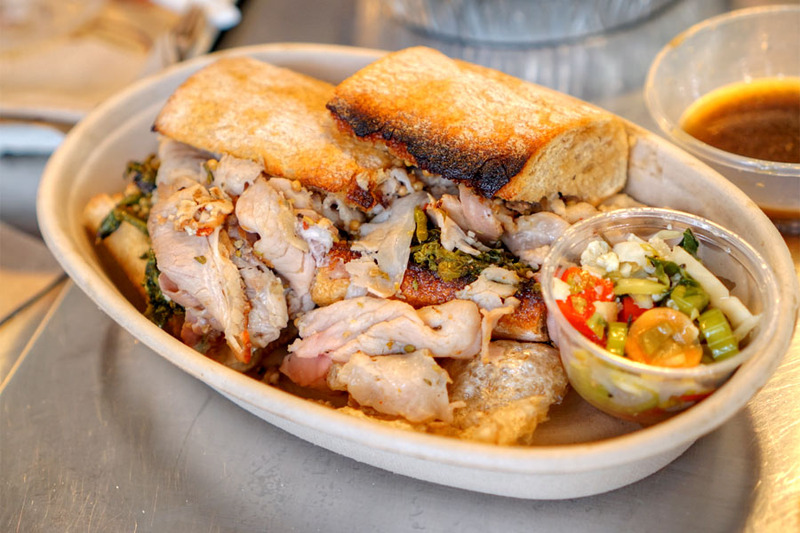 Kalman's known for his porchetta over at Union, so I wasn't surprised at the strength of this sandwich version. The actual pork arrived slick and supple, dripping with porky goodness and a healthy dosing of herb. Great bitter counter from the rapini as well, while the pickles gave a focused heat. I didn't even need the dip. 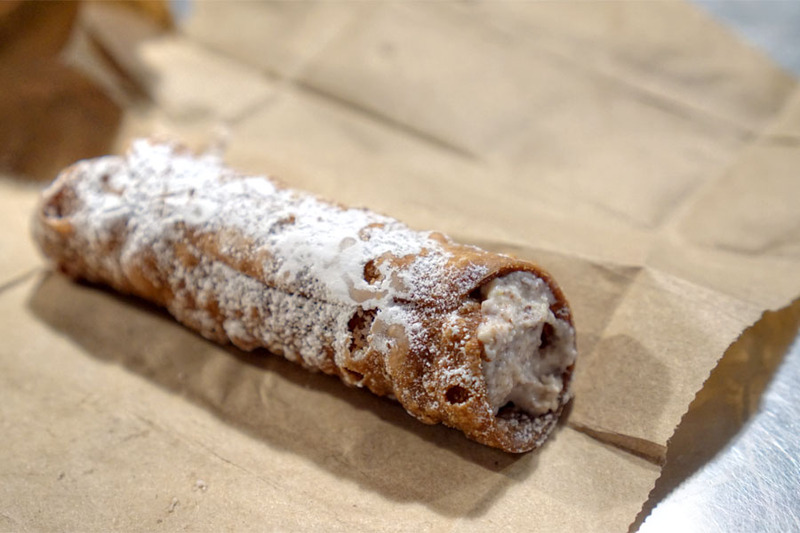 A cannolo hit the mark--crunchy, creamy, classic. 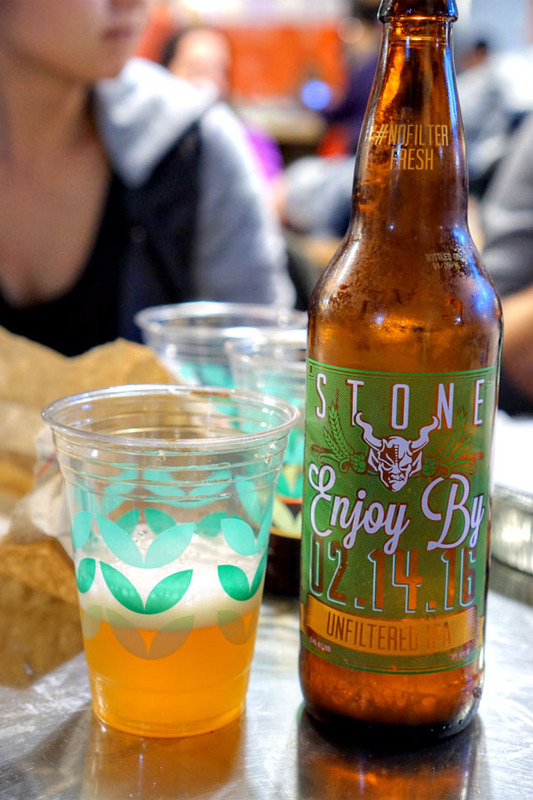 Our final beer was the Stone Enjoy By 02.14.16 Unfiltered IPA, which, as the name would imply, was an unfiltered version of the brewery's popular "Enjoy By" series. Compared to the standard beers, this seemed a touch juicier, with more malt sweetness toward the back end. Tonight's seasonal tart was of the apple variety, a pretty prototypical preparation that was all about apple and sweet spice. 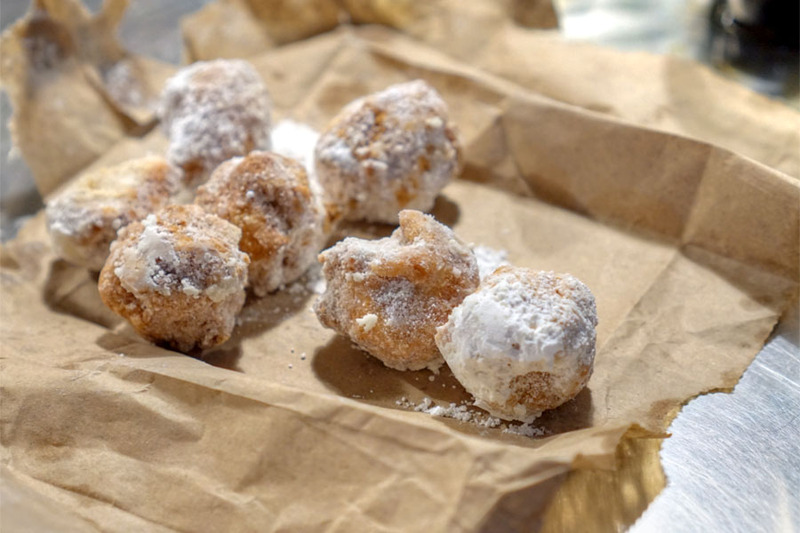 Zeppole were dense and firm, with a nutty character that made sense with the chocolate-y dip on the side. 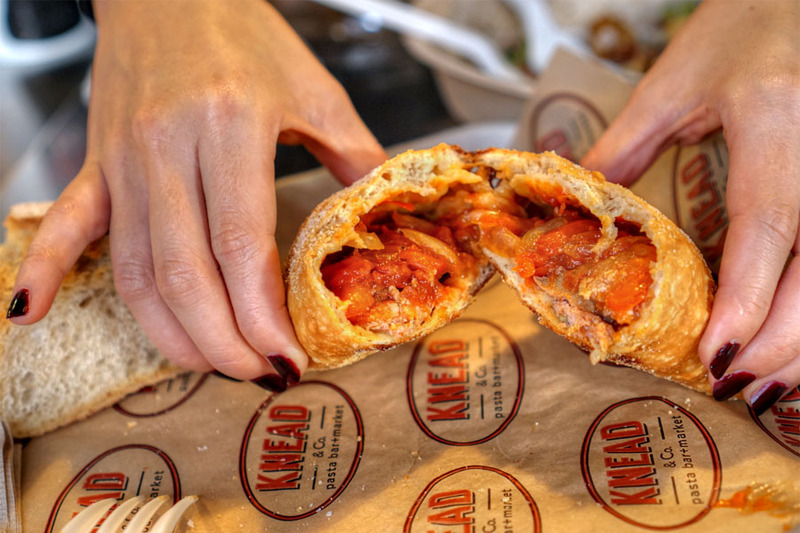 Kalman and company seem to be right on track with Knead. 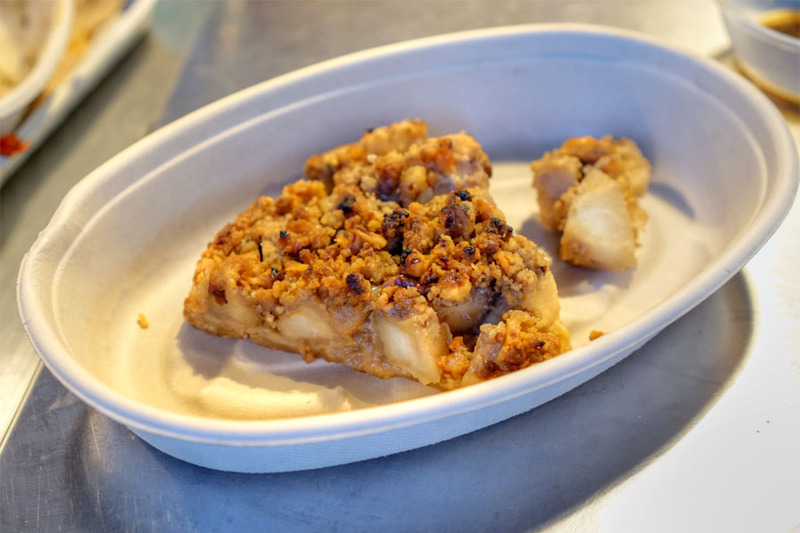 The food here's definitely more casual compared to what the team was putting out at Union, as it should be, but you still get that cheffiness, that precision you'd expect. Another welcomed addition to Grand Central Market. That quality beer in plastic glasses? Awful. ^^ Ugh, I thought we got rid of you. See this thread. 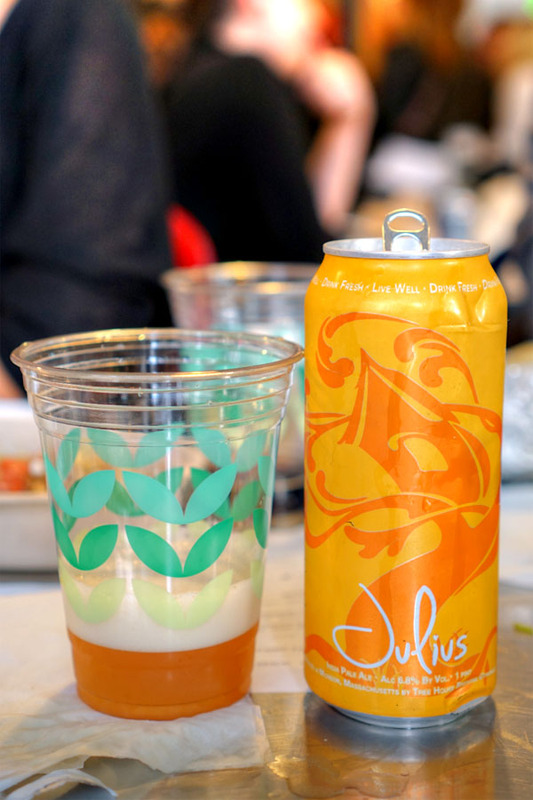 Where'd u get the Julius from?